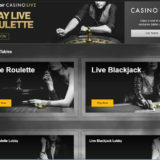 Unibet have launched a live casino promotion for the duration of the 2014 World Cup. On every match day of the tournament from 18:00 CET on Live Blackjack tables 3 and 5 at Unibet Live Casino Royale, 6 bonus cards will be added to the standard dealing shoes. Between the 12th and 26th of June the 6 cards will all be yellow, and if a player draws one of these they will win a 50 euro prize. From the 28th June there will be 3 yellow cards and 3 red cards. If a player draws a yellow card they win 50 euro prize and if it’s red they win a 100 euro prize. If the dealer draws one of the bonus cards to his hand it’s returned immediately into the dealing shoe. The prize is cash and will be placed in your account the following day when you can withdraw it. There are no wagering requirements as it is not bonus money. 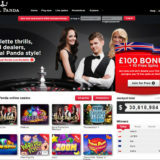 The promotion is Not available on the dedicated Unibet table or on the Common Draw Blackjack table. 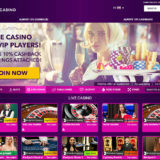 Click here to play or read my more detailed Unibet live casino review for more information about the casino.